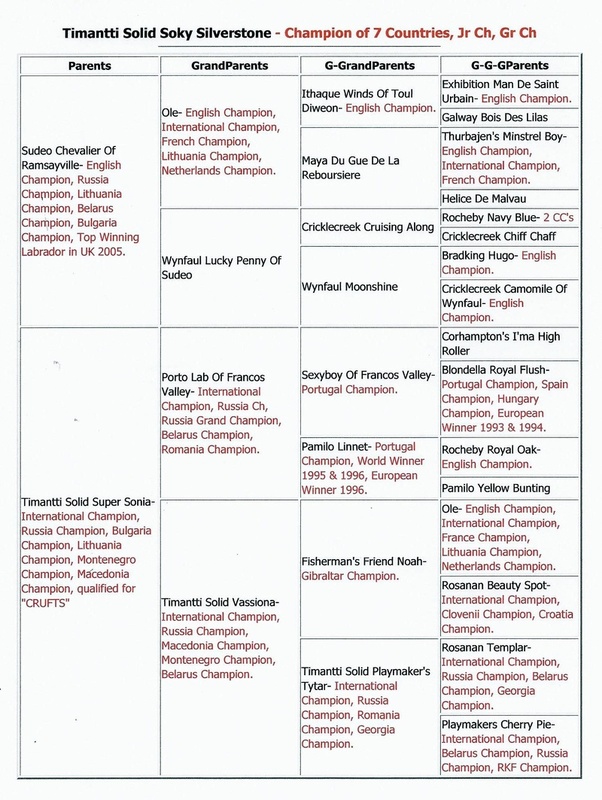 Costa Rica Champion, Costa Rica Grand Champion, Moldova Junior Champion, Moldova Champion, Moldova Grand Champion, San Marino Champion, Serbia Champion, Turkey Champion, Honduras Champion, Central America Champion. English Champion, Russian Champion, Lithuania Champion, Belarus Champion, Bulgaria Champion.Top Winning Labrador in UK 2005. OFA Hips- Not certified and unshown due to hip injury as puppy. International Champion, UKC Champion, UKC Grand Champion pointed, American Champion pointed. National Junior Champion, International Junior Champion, multi Best of Breed & Group winner. 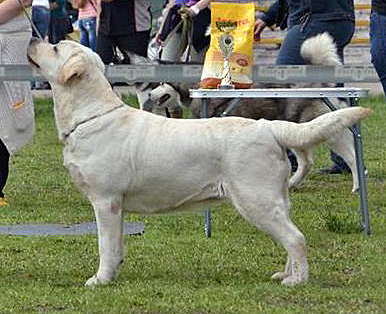 International Champion, multiple Best of Breed winner and Group placement. Multiple Best of Breed winner and Group placements. OFA hips excellent, elbows normal, eyes normal, full dentition. 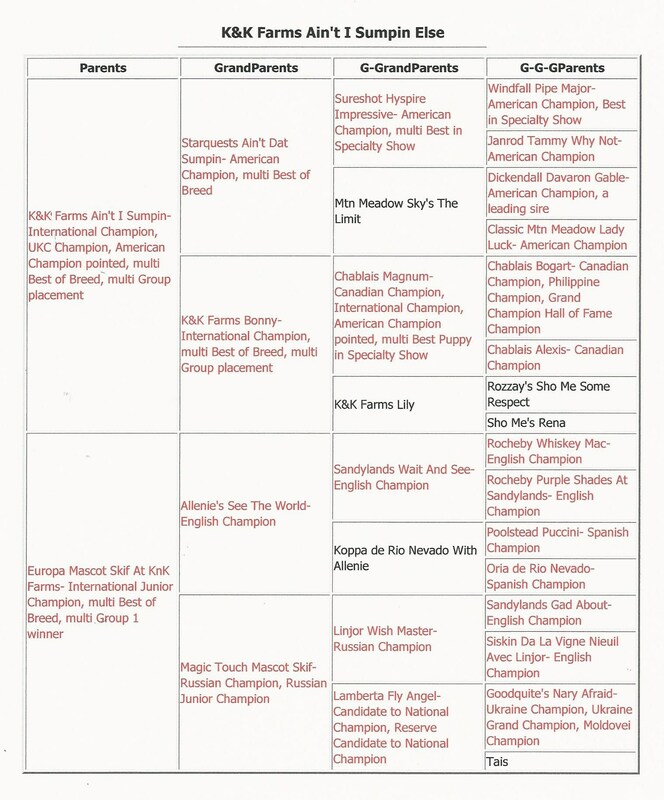 American Champion pointed, multi Best of Breed winner and Group placements. International Champion, multi Best of Breed winner and Group placements.